Polyflor, the UK’s commercial and residential vinyl flooring specialist, is celebrating a century of manufacturing in Manchester, where this family-run company was born and is still flourishing as a global business. Over the last 100 years the expansion of Polyflor’s parent company James Halstead PLC has been managed by four generations of the Halstead’s own dynasty of entrepreneurs in Bury, Greater Manchester. Established by James Halstead himself in 1915, the company’s original trade was the waxing and showerproofing of cloth for raincoats, before expanding into flooring in 1934. After chemist Bill Roberts experimented with PVC to create a practical and resilient floorcovering at their Whitefield factory, “Poly-Flor” vinyl flooring was launched in 1954 when a 24 year old Geoffrey Halstead, the group’s current Executive Chairman, started up his sales operation. After persuading many contractors to move from promoting and installing existing linoleum products to working with more advanced “Poly-Flor” vinyl flooring, this investment in the market paid off as vinyl flooring soon became the company’s most profitable product. Since pioneering the development of homogeneous vinyl flooring in 1950s, Polyflor has become the UK market leader for commercial vinyl floorcoverings with dominant market share. Now Polyflor manufactures a wide range of high quality and high performance flooring products, from safety flooring to luxury vinyl, which can be installed in homes, offices, hospitals, schools and retail interiors amongst others. James Halstead PLC figures reported a turnover of £223.5 million and pre-tax profit of £41.9 million for the financial year ending June 2014. 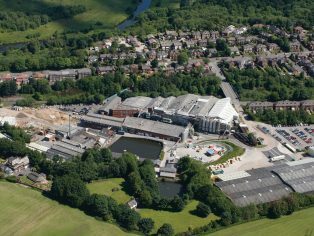 Polyflor is a major employer in Manchester, employing approximately 500 people across its original manufacturing site in Whitefield, Bury and its sales and marketing office in Royton, Oldham. 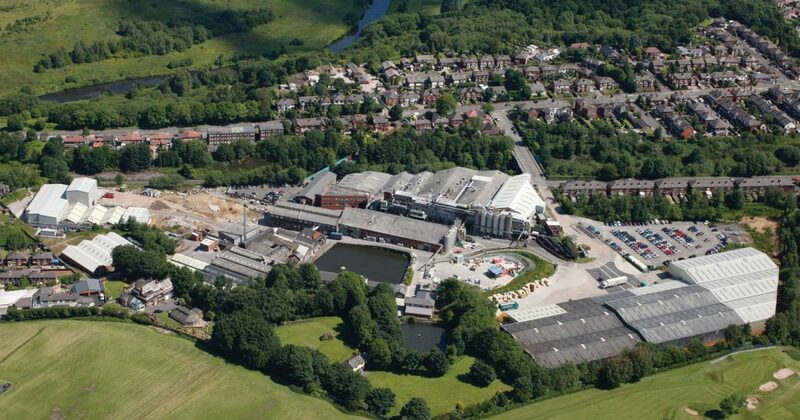 In 2010 Polyflor also acquired a new heterogeneous sheet manufacturing site in Teesside. Now a well-established global organisation which is going from strength to strength, Polyflor has international subsidiaries across the world including Australia, New Zealand, South Africa, Hong Kong, Ireland, Norway and most recently India, Canada and the Middle East.